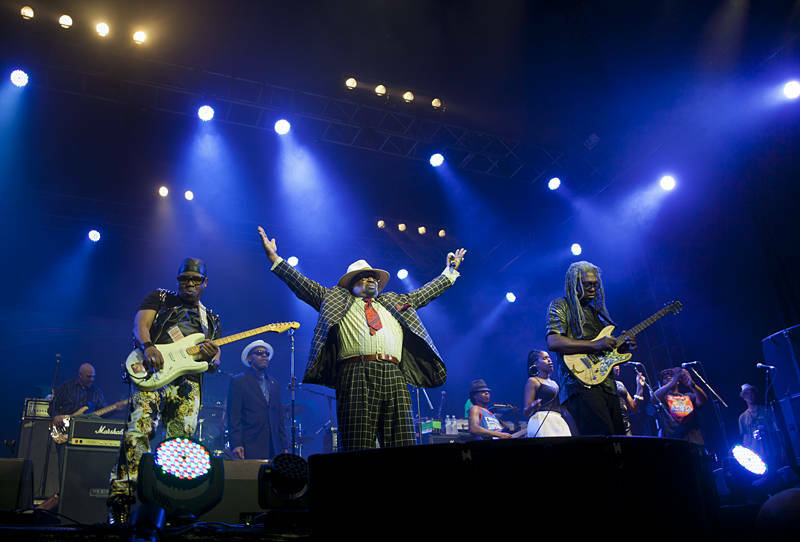 This is George Clinton & Parliament Funkadelic at the start of a 4 hour set as the final band on the Mojo stage at the Byron Bay Bluesfest. George is known as one of the foremost innovators of funk music. I first heard their music in the UK through Nottingham funk band Fat Digester. It was a nice surprise to find them on the line-up for a blues festival in Australia.